Could your overthinking be an illness? Overthinking leads to mental health problems. mental illness. Constantly second-guessing your past leads to depression. Having doubts about the future increase your anxiety. How many of these overthinking problems are you experiencing? Continually wondering how you compare to others can be a sign of social or performance anxiety. Accepting yourself as you are while striving for self-improvement will increase your mental health. Constantly comparing yourself and judging everything you do results in the bias of only seeing your faults and never recognizing your strengths. Extreme concerns over what you should say or didn’t say is another sign of social anxiety. For many situations, there is no correct response. In social situations strive to be your genuine self. You can reduce the number of social errors you make by pausing before speaking. Not every thought should escape from your mouth. Learn from any mistakes you make but avoid continually rehashing every conversation. If you are constantly on the alert for any presence of threats, you may have Generalized Anxiety Disorder. Some people develop this condition because of past stress or trauma. But if you instinctively look for every possible way in which something could go wrong, you’ve developed the overanxious condition professionals call Generalized Anxiety Disorder. Most time spent on what if’s will be time wasted on thinking about unlikely possibilities. Focus your efforts on high probability events. You worry about having an undiagnosed illness. Worry about having an illness that hasn’t been diagnosed can be the result of a Somatic Symptom Disorder or an Illness Anxiety Disorder. When you have concerns about your health see your Dr. If your symptoms are severe, you may want to get a second opinion. Continuing to worry that you might develop an illness robs you of the opportunity to enjoy the life you have. You worry about leaving the house. This condition is called Agoraphobia, which translates to fear of the marketplace. People who worry constantly and excessively about leaving the house can also be afraid of crowds and meeting strangers. If you have this worry, seek professional help before your fears hold you prisoner in your own home. Agoraphobia can hold you hostage and deprive you of your family, friends, and your job. You worry about having another panic attack. People who are prone to panic attacks often know that the symptoms they have are from a panic attack. Still, during a panic attack, you may worry that this time you actually are having a heart attack or that you will not be able to catch your breath and will suffocate. It’s common for people with panic disorder to fear being somewhere where they will not be able to get help. You fear something bad will happen and you need to do a ritual to prevent that. This type of repetitive overthinking is characteristic of Obsessive-Compulsive Disorder. While the person with this disorder may know, the fear is irrational; they still feel compelled to do a repetitive behavior in the belief that this will prevent the danger. Overthinking, or rumination can be both a cause of and a symptom of a serious mental health problem. If your overthinking is undermining your happy life, seek help. Therapy can make stress and anxiety disorders worse. Traditional talk therapy may make your problems worse. Don’t get me wrong; talk therapy has been helpful to a large number of people. But occasionally I encounter a client whose condition has been made worse, not better, as a result of being in therapy. One predictor of whether therapy will work for you is the fit between you and your therapist. If the kind of therapy they’re doing or the way they’re doing it is not helpful, begin by talking with the therapist about this. A good therapist will work with you to find helpful solutions. If you find your therapy making things worse, you may end up needing to switch to a new therapist. Below are some ways I have seen therapy be unhelpful and some suggestions for making it more helpful. Repeated talking about it can retraumatize you. Some therapists were trained that the way to be helpful to people, was to do a thorough biopsychosocial assessment before they began treatment. This historical approach often means beginning with the first event in your life and move things forward one event at a time. Therapists with this orientation may well believe that the key to fixing your current problems, is to thoroughly deal with your childhood issues first. More than one client has told me that their therapist’s insistence that they needed to talk about past abuse in detail, became so painful they had to discontinue therapy. We often hear from victims of trauma that the having to go over and over the details was more painful than the initial experience. There’s some truth to the idea that you can’t heal injuries, physical or emotional, that you deny exist. The problem comes from efforts to dig up the graveyard to get at the root causes before the person is even able to cope with life today. What is often more helpful is a “solution-focused” approach to your problems. This approach means beginning at the top with the problem that is affecting you today. If today’s problem is unemployment or a bad relationship, that may need working on right now. Keep in mind that early life experiences may be impacting today’s issues. As you get today’s problems under control, you may decide you want to work on those old long-term problems, or you may decide that having solved today’s problems you need to move on with your life. Talking in therapy can turn into co-rumination. Sometimes therapy can perpetuate problems. It’s easy to stay stuck, week after week, reviewing the exact same problems. When this is done with a friend, it is sometimes described as co-rumination. The same process can be harmful when done with a therapist or counselor. Narrative therapists described this as staying stuck in a problem-saturated story. Repeating the same story over and over can magnify its control over you. The challenge is to stop the pain and begin to create a story of how the future can be better than the past. Being in the wrong group therapy can make your problems worse. We see this often in substance abuse treatment. A young adult gets caught with some marijuana, which is illegal in his particular jurisdiction. This person gets referred to drug treatment and placed in a group made up largely of heroin addicts. Not only is this group not helpful, but there is an increased risk that this person will develop a worse problem than before. An equally bad problem can be created when a woman with a history of domestic violence ends up in a PTSD group with some returning military veterans. Group therapy can be extremely powerful, but only if you’re in the right group. Sometimes the symptoms become the problem. Many of the things that are described as symptoms of a trauma-related disorder are in fact ways that people adapt to having survived that trauma. When therapy focuses too much on ending symptoms, it can become unhelpful. For example, a victim of trauma may begin drinking, trying not to have to remember the painful experiences. Someone notices the person’s drinking, maybe because they’re drunk at work or they get a DUI. They may end up in treatment for alcohol use disorder. The difficulty here is that for this person the alcohol is not their problem, it is their solution. The problem is the recurring intrusive memories of the trauma. Using “unhelpful” behaviors to manage your current symptoms can become a habit. Rather than focusing too much on the unhelpful behaviors, many therapists will work with you on creating new helpful behaviors. Under stress, humans tend to revert to their habitual way of behaving. The therapist will want you to continue to practice your new helpful behaviors until they become your new automatic way of coping. Don’t give up before the healing miracle happens. I hope this post will help you understand the ways in which therapy can be helpful, and the times it may not be. If you’re currently coping with the results of trauma and stressors or you have high levels of anxiety that are interfering with your day-to-day life, know that there is therapy out there that can make your life better. If you have been for counseling in the past and it was not helpful, seek out a therapist you can feel comfortable working with. If you’re currently working with someone and it’s not helping, talk to them about this issue. One other thing you need to keep in mind is that when you’re in severe emotional pain, you may feel like you’re stuck and nothing is getting better. It’s very common for people to make large amounts of progress and not realize they’re getting better. Sometimes your counselor, family or friends will see the changes in you long before you do. Please don’t give up. Not all trauma and stressor-related disorders are the same. In Posttraumatic Stress Disorder, there are recognized and unrecognized subtypes. Recognized PTSD subtypes or specifiers. Two subtypes of PTSD dissociative symptoms are recognized. Depersonalization, that is the experience of feeling like you’re outside of yourself looking in. You may feel like you’re in a dream or are an outside observer watching yourself. It may feel as if time is moving more slowly or as if you are not real. Derealization is the experience of feeling like the world is unreal. You may feel like you’re in a dream or that things are very distorted and different. When someone experiences delayed PTSD we use the specifier “with delayed expression.” Delayed expression occurs when it takes more than six months after the event for the symptoms to become obvious. PTSD subtypes used with children under six. There are slightly different criteria used in diagnosing PTSD in children under the age of six. As a result, we also have two additional subtypes for use with children. All of the subtypes used with adults can also be applied to children. PTSD with persistent avoidance of stimuli. Children with this subtype go to great lengths to avoid anything that would remind them of the original traumatic event. PTSD’s with negative alterations in cognitions. Children with this subtype develop all kinds of negative thoughts about themselves and the world. That may have high levels of fear, shame, and guilt, confusion, and sadness. They may withdraw from other people and lose their interest in playing. While not officially recognized in the DSM-5 a good deal has been written about a condition referred to as “complex trauma.” Both research and practical experience suggest there is some validity to this idea. This condition occurs when someone is repeatedly traumatized in a very similar way. Think about somebody who breaks their leg and goes to the hospital. They have it treated and the leg mends. If they were to break the same leg again, in the same place, it is less likely to heal a second time. These types of repeated traumatization are often the result of abuse or domestic violence. Complex trauma also frequently coexists with substance use disorders or behavioral addictions. 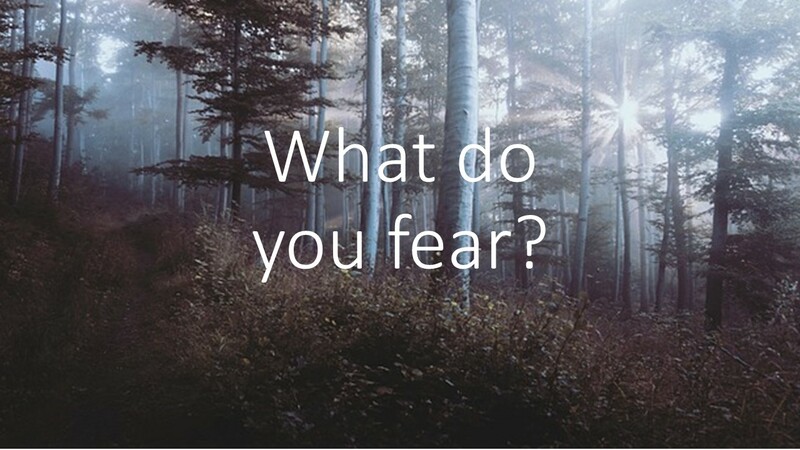 What are your fears teaching you? Are you someone who suffers from high anxiety? Have you learned the lessons that your anxiety is trying to teach you? Anxiety can be a kind of bully, trying to scare you away from anything new and keeping you from the parts of life that might be beneficial. Or anxiety can become a good teacher and help you learn life lessons. Below is the list of some lessons that anxiety might be able to teach you and ways that you could develop those lessons. Just because it scares you does not make it dangerous. A well-functioning anxiety system helps you identify risks and warns you of danger. Some people’s anxiety system is turned up way too high. Overly sensitive anxiety systems give off warning sounds and flashing lights even when the danger is minimal. An important lesson you should learn from your experiences with anxiety is that not everything that makes you fearful or scares you is in fact, that dangerous. Learn that your anxiety is a source of information, not an absolute life ruler. It is OK to feel scared. It is OK to feel what you feel. Are you one of those people who was taught that you shouldn’t feel whatever it is that you are feeling? A valuable lesson that anxiety and many of our other feelings has to teach us is that humans use feelings as a source of information. Information is neither good nor bad in and of itself. Was is important is for you to feel what you’re feeling, decide what that means, and then decide what you wanted to do with that information. Feelings can be your friends. Feelings are not automatically your enemies. They can be your friends. Sometimes anxiety and fear are friends warning you of danger. What you need to decide is how real and how important that danger it is. Every so often the danger is very real and very imminent. During those times you will need to do something about it. Other times your anxiety is detecting something new and unfamiliar and you’ll need to learn how you are going to respond to that new and novel situation. Walking towards fear makes it shrink. Fear is a natural-born bully. Fear wants to have its way. The more you give in to your fear the larger the fear grows. Many things that look scary and are fearful at first sight becomes far less scary as you begin to do them. If you walk towards something that scares you, what you will often find is that it is far scarier from a distance than once you get up close. The first time is always the scariest. Many people are afraid of something new that they’ve never experienced, but once they’ve tried it for that very first time that may discover that they enjoy it. Don’t let your fears and your anxieties keep you from trying something that might turn out to be a great deal of fun. Scary experiences create lasting memories. Despite the fact that many people avoid things that make them anxious or scare them, most of us are also fascinated by the scary. Scary movies draw large audiences. Haunted houses are perennial Halloween favorites. Because of the heightened level of hormones in the body during scary events the brain thinks that it is important to remember these times. In thinking about the times that some event made you anxious it is important to remember the times that despite the anxiety those things turned out very well. You can’t be calm and scared at the same time. Ever notice when there’s a loud noise everyone turns to look at it and ignores everything else that is happening? Anxiety and fear are like that. They distract your attention from what else is going on at the same time. One way of reducing anxieties impact on you is to learn ways to calm yourself. Stress reduction techniques like deep breathing, mindfulness, and meditation can all be very helpful in reducing your anxiety. What you will quickly learn, if you try these techniques, is that it’s not possible to be calm, relaxed and scared at the very same time. Learn to make this fundamental rule of emotions work for you. Opposite sets of emotions don’t like to live together. It’s difficult to laugh when you are sad. People don’t seem to be able to be both excited and relaxed at the same time. If you have found that your anxiety has gotten out of control, a quick way to reduce that anxiety if is to learn ways to self-soothe and calm yourself. The more skills you have the more you can handle. In all aspects of life, it is important to develop a good set of skills. While initially, it may be uncomfortable to work with strong emotions such as anxiety, the more you do this work the better you get at it. Repeatedly putting yourself in situations that create a small amount of anxiety, which you discover you are able to handle, can result in increasing your ability to handle increasingly difficult anxiety-provoking situations. Whenever the size of your comfort zone, if you spend too much time cramped inside it, that comfort zone will prevent your personal growth. Gradually work on stretching out that comfort zone. Before long you will have the skills to handle situations they used to seem impossible. When you do good self-care less overwhelms you. Another lesson than anxiety will teach you is the importance of good self-care. With poor self-care, it’s easy to get stressed out and have everything overwhelmed you. When you concentrate on taking good care of yourself you will be able to handle situations that you never thought possible. You will handle most things better than you thought you would. It’s normal to be very scared before something that you have never experienced. What surprises so many of us is how often we are able to handle far more than we ever believed possible. Anxiety teaches you that you are capable of much more than you would have believed had you not been in those anxiety-provoking situations. Most of the things we worry about turn out better than we thought. Many people discover that the majority of things they have worried about turn out better than they expected. It is a human failing to expect the worst. Let your anxiety teach you that many good things can happen. You almost always have more options than you think. One bad habit that makes anxiety far worse than it needs to be is artificially limiting your options. Often we only see a couple of alternatives. Make sure that you look for other options. People will tell themselves they have to get something done by a deadline or they’re going to lose their job. Only seeing those two options results in not making use of the many more options that might have resulted in a better outcome. Besides not finishing the report or getting fired, you may also have the options of discussing the deadline with your boss or requesting additional help in completing the project on time. If you make anxiety your friend you may find that it’s a wonderful teacher. When is an adjustment disorder not an adjustment disorder? Sometimes people have symptoms as a result of experiencing trauma or stress. These difficulties are sufficiently severe that we think this person needs treatment but the exact group of symptoms they have doesn’t quite fit a listed disorder. The new DSM – 5 solves this problem by creating another name for adjustment like disorders. This designation gives us five more ways to categorize problems of everyday living which were caused by stressors or trauma but do not quite neatly fit the defined adjustment disorders. Below are the five reasons you might get an adjustment like disorder diagnosis. 1. You had a stressor but your problems did not begin until more than three months after the stressor. 2. The problems continue for more than six months even though the stressor has ended but your symptoms have not turned into another diagnosis. 3. You were having an “ataque de nervious.” This particular condition is listed in the back of the DSM – 5 under cultural concepts of distress. While not recognized in the United States as a mental disorder, this particular group of symptoms is widely recognized in Spanish-speaking countries. 4. Another cultural syndrome. There are a number of cultural syndromes that are recognized in a particular geographic or ethnic area. The cultural syndromes are understood as an inability to cope with a particular stressor. 5. Persistent Complex Bereavement Disorder. This condition is listed in an appendix to the DSM under conditions for further study. Since it didn’t make the list of official diagnoses, researchers needed a way to code it. The result is this condition ended up here under adjustment like disorders. I don’t think I’ve ever seen an adjustment like disorder listed in the person’s chart nor have I ever use this particular diagnoses myself. But when I saw it was right there in the DSM-5 I just couldn’t resist letting you all know about this. Maybe this illustrates how learning to diagnose mental illnesses is both an imprecise science and an area for continuing learning. As with the other things we are calling a mental illness this adjustment like disorder needs to interfere with your ability to work or go to school, your relationships, your enjoyable activities or cause you personal distress. Otherwise, you may have the issues but you will not get the diagnoses if this is not causing you a problem. If the only time this happens is when you are under the influence of drugs or medicines or because of some other physical or medical problem this issue needs to be more severe than your situation would warrant. These other issues may need treating first, then if you still have symptoms you could get this diagnosis. 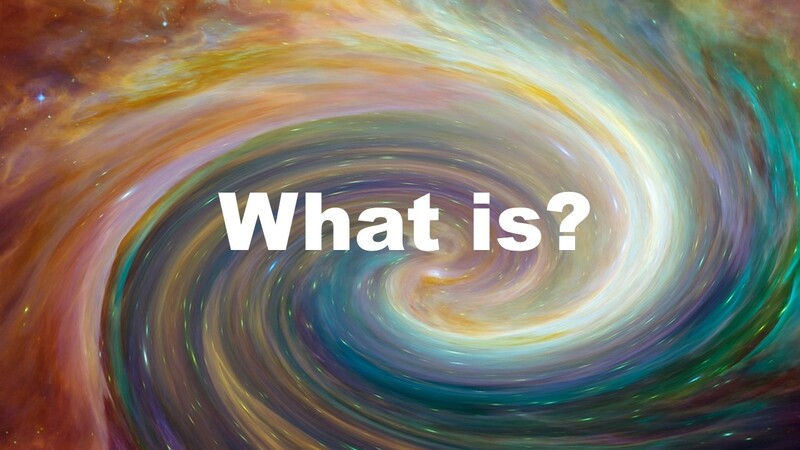 FYI These “What is” sometimes “What are” posts are my efforts to explain terms commonly used in Mental Health, Clinical Counseling, Substance Use Disorder Counseling, Psychology, Life Coaching, and related disciplines in a plain language way. Many are based on the new DSM-5; some of the older posts were based on the DSM-IV-TR, both published by the APA. For the more technical versions please consult the DSM or other appropriate references. For more on this topic see Adjustment Disorders in the Trauma- and Stressor-Related Disorders category. What is Post-Traumatic Stress Disorder PTSD? Would you know PTSD if you experienced it? PTSD is something that we hear a lot about, but most people have only a general idea what it involves. PTSD was first recognized in returning military veterans. It has since been recognized in children who were abused, in cases of domestic violence, as the result of sexual assaults as well as the result of other traumas. While each case of PTSD is unique, they have many features in common. 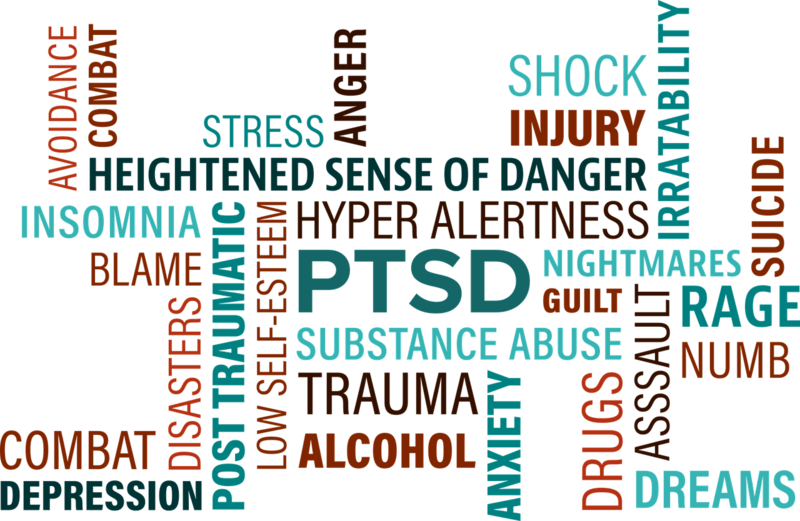 Many people with PTSD may also have one or more other psychiatric disorders, some of which are likely the result of traumatic incidents. Below is a list of the features that professionals use to identify PTSD. PTSD involves a specific trauma. Something has happened or there was a high risk it would happen. This trauma involved death, possible serious bodily injury, or a sexual assault. This event needs to happen to you or someone close to you, not just be something you saw on the television. This event was either violent or sudden and unexpected. Also included in the definition of a trauma below, are the effects which dealing with the incident has on first responders or other emergency personnel. This traumatic event keeps forcing its way back into your life. Part of PTSD symptoms are the recurrent memories of the event. You may have nightmares about what happened or things connected to that event. Some people with PTSD experience spacing out or dissociation. You may also experience flashbacks and in these times it can feel like the event is happening again. These recurrent intrusive memories are easily triggered. Both internal triggers, thoughts and feelings, and external triggers, people, places, and things, may bring back the memory. People with PTSD try to avoid reminders. There are all kinds of ways to avoid being reminded of something that has happened. You may avoid going to certain places or events. People may turn to drugs, alcohol or other distractions. They may try to avoid having feelings, or other thoughts about the incident. Sometimes the brain does this job for you. You may find that there are periods of time for which you have no memory. Some people describe this as having a blackout or amnesia. They may avoid activities which are in any way connected to these unpleasant memories. Behavior changes when you experience Post-Traumatic Stress Disorder. People with this disorder often become irritable and angry. They may become either self-destructive or reckless. Part of this condition is having an exaggerated startle response. In the aftermath of the trauma, people may develop poor concentration and impaired sleep. Someone with PTSD may stop engaging in activities that used to be fun, they detach from others and may say that they just can’t feel happy. These behavioral changes are also characteristic of depression, and the two disorders often occur together. PTSD can cause cognitive changes. In the aftermath of trauma, it is common for people to blame themselves. They may tell themselves that if they hadn’t been there, or had been more careful, it would not have happened. Negative thought patterns may develop. People begin to feel bad about themselves, other people, and the future. 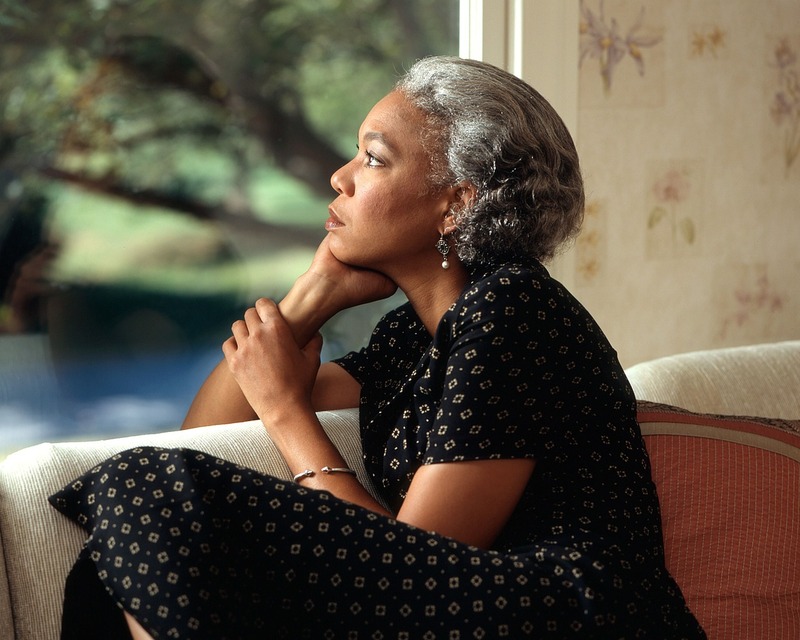 These cognitive changes can result in developing depression. PTSD needs to last a while and not be something else. This condition is expected to last more than a month after the stressor. As with the other things we are calling a mental illness this needs to interfere with your ability to work or go to school, your relationships, your enjoyable activities or cause you personal distress. Otherwise, you may have the issues but you will not get the diagnosis. If the only time this happens is when you are under the influence of drugs or medicines or because of some other physical or medical problem we’re likely to think this is something other than PTSD. For more on this topic see Trauma- and Stressor-Related Disorders. What are the six types of Adjustment Disorders? Adjustment Disorders include six types or specifiers. In another post, I wrote about adjustment disorders. You might want to take a look at that post. You will find it in the trauma- and stressor-related disorders category. But to briefly recap, an adjustment disorder is a time when you experience stress and that amount of stress is more than you can handle. The kind of things that you might find stressful, and how that stress might affect you, can vary a great deal from one person to another. Adjustment Disorder can be very chameleon like, changing from person to person and from time to time. As a result of this variation and in order to help find the correct treatment for each person, professionals use six different specifiers for various presentations of adjustment disorder. Listed below are the six specifiers or sub-types of adjustment disorder that are listed in the new DSM – 5. Adjustment Disorder with Depressed Mood (F43.21). Sometimes in addition to having difficulty coping with a stressor, as a result of this life problem, people develop depression. If this goes on long enough or is severe enough they might eventually get a diagnosis of Major Depressive Disorder. But until that happens treatment will mainly focus on the stressor and the depression that stressor is causing. Adjustment Disorder with Anxiety (F43.22). Sometimes the primary symptom that people experience when they are going through stress is an increase in their anxiety. If this increase in anxiety is related to a specific stressor, is more severe than we expect or goes on too long, Adjustment Disorder with Anxiety is the likely problem. Adjustment Disorder with both Depression and Anxiety (F43.23). 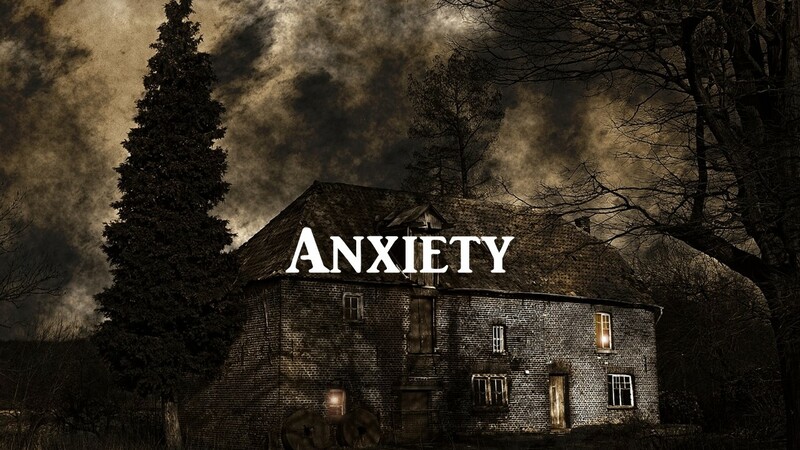 Anxiety and depression frequently happen to people at the same time. If this stressor has produced both depression and anxiety, then this specifier should be added. Adjustment Disorder with Conduct Problems (F43.24). Sometimes the principle way we know that stress has affected somebody is that they begin to act in inappropriate ways. This diagnosis with this specifier is most commonly seen in children who rather than show their symptoms as anxiety or depression, begin to act out. Adjustment Disorder with Disturbance of Emotions and Conduct (F43.25). When stress overcomes a person’s ability to cope, we may see changes both in their behavior and in their feelings. This is often the case in children and adolescents but may also be seen in adults with poor emotional regulation. When the counselor knows that the problem the client has is caused by their reaction to stress but none of the other sub-types quite seem to fit, this category may be used. As with the other things we are calling a mental illness this problem needs to interfere with your ability to work or go to school, your relationships, your enjoyable activities or cause you personal distress. Otherwise, you may have the issues but you will not get the diagnoses if this is not causing you a problem. If the only time this happens is when you are under the influence of drugs or medicines or because of some other physical or medical problem, this problem needs to be more than your situation would warrant. These other issue needs treating first, then if you still have symptoms you could get this diagnosis.